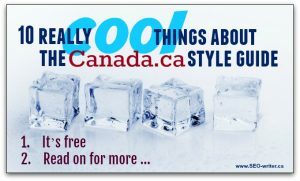 If you are writing online, the Canada.ca style guide will make your writing better, no matter what country you are in. People are used to working with journalistic style guides, such as those of the Canadian Press (CP) or the Associated Press (AP). These are great resources for journalists, especially to ensure accuracy and objectivity in the words we use. But if you are writing for an online audience, you might need a style guide that accounts for how people read differently online. In fact, people don’t read online. At least, they don’t read until they reach details that they feel they need to carefully digest. Until that point, they scan.